As of 1st January 2014, SCBWI Australia East & New Zealand is proud to be recognised as a partner organisation of the Australian Society of Authors (ASA). This will provide many benefits for SCBWI Members. The Australian Society of Authors (includes illustrators) has advanced and protected the interests of creators since 1963. The Australian Society of Authors (ASA) provides services for the business of being a creator. One of the great achievements of the ASA is that it successfully campaigned for Public Lending Rights and Educational Lending Rights which provides payments to creators for works in libraries. See the ASA website for more services and information. 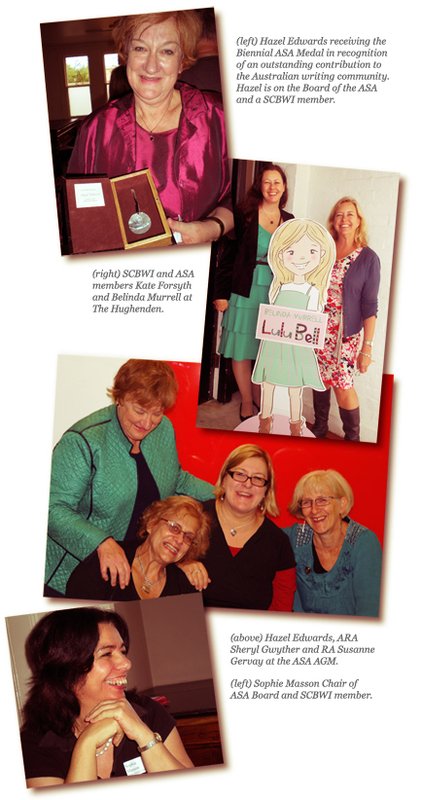 SCBWI and ASA have always had a supportive relationship. SCBWI children’s authors and illustrators have a significant history of cooperation with SCBWI Regional Advisors and Assistant Regional Advisors, as well as SCBWI members becoming on the Board of the ASA. ASA Board Members have included RA Frane Lessac; ARA Sheryl Gwyther, Hazel Edwards OAM, Mark Carthew and the respected Chair of the Board Sophie Masson and many others.